Only showing entries about australia from Roaming the world. 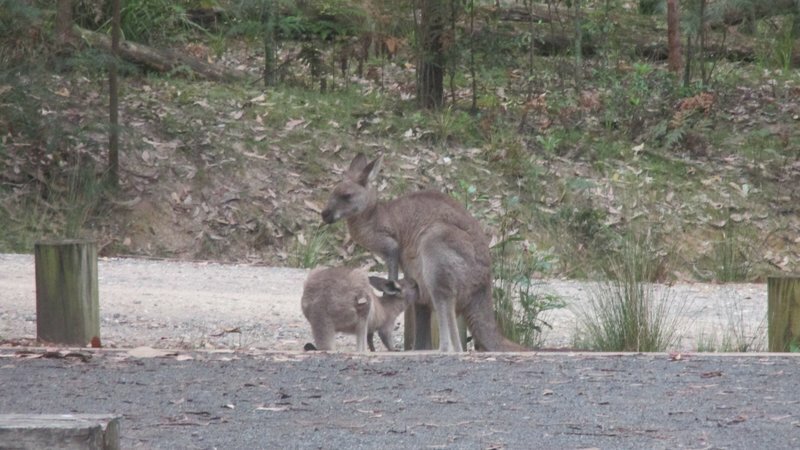 View entries about australia from all Travellerspoint blogs. There are many reasons to visit Australia, and one of them without a doubt is to see kangaroo on a beach. Well where else? 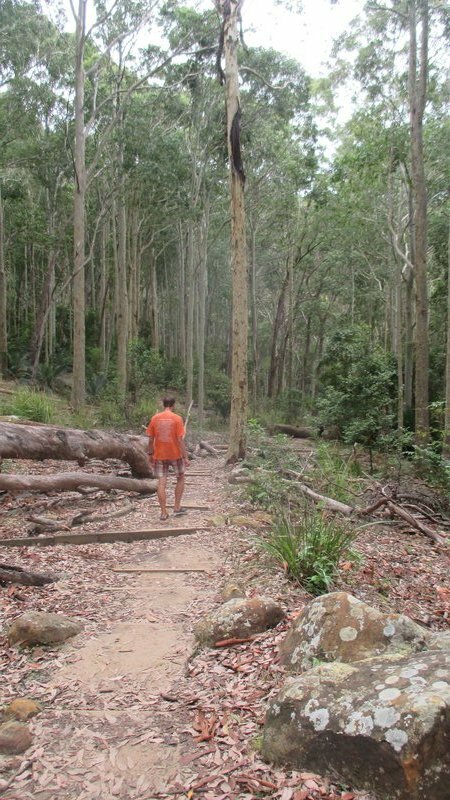 After spending a couple of days roaming around the most boring city in the world ( - and the award goes to... drum roll - Canberra) we jumped on a bus to Batemans Bay to spend a few days camping on Pebbly Beach. Like just about any place in Australia it's not easy to get to unless you have a car. Firstly we were planning to hitchhike, however, we had to stock up on food and pic up a goon bag and trying to hitch a ride while carrying your grocery shopping is to say the list awkward. So we settled for hiring a taxi which only cost us 20 AUD for a 20 km ride. 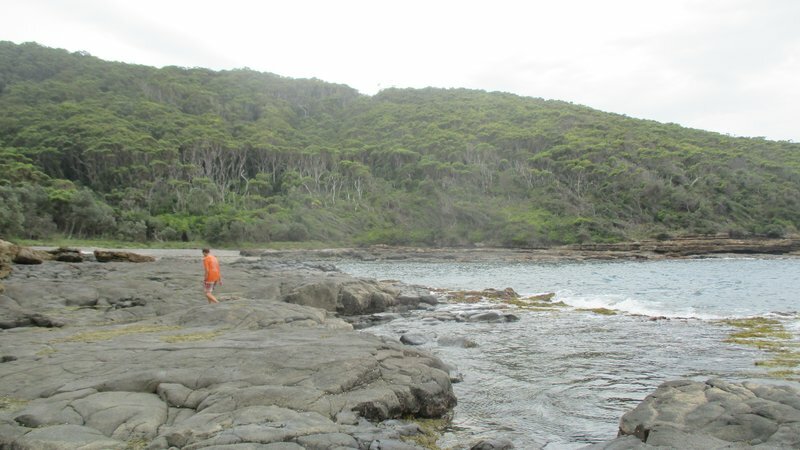 Pebbly Beach is located within Murramarang National Park, however, there are no permits or any restrictions applied. As I understand you can't wild camp, but that is about it. 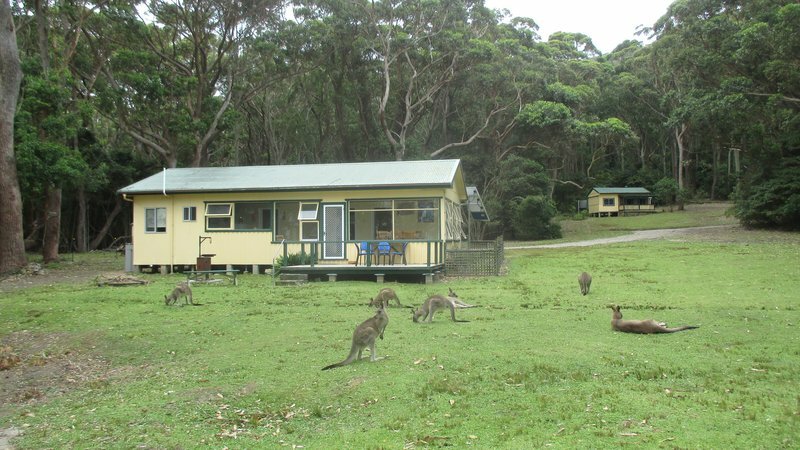 You have to pay camping fee of 10 AUD per person per night. For that you get a generous patch for your tent, normally complete with a bench and a barbecue set, clean toilet and shower, use of gas barbecue, and even firewood nicely delivered from a local lumber-mill. 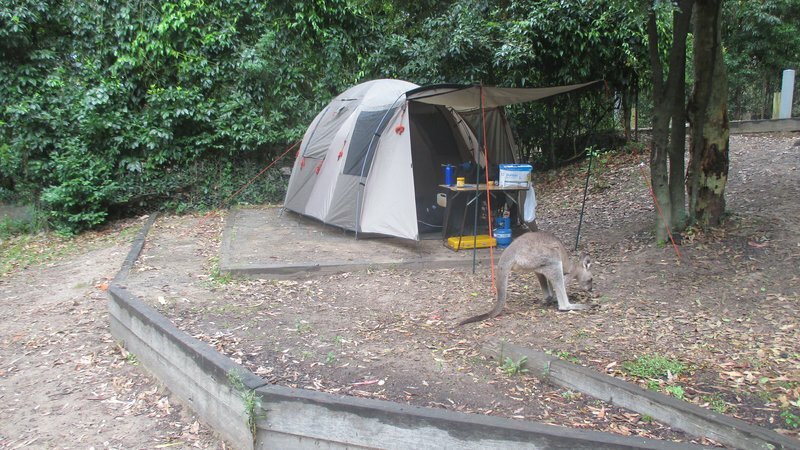 To me camping infrastructure in Australia is beyond amazing. Being Ukrainian imagining anything that well developed and that well maintained without costing you the world is next to impossible. Back in the old country we tend to leave scorched earth everywhere where we camp, in the best case scenario the garbage is burned or buried. Well, kudos to ozzies! 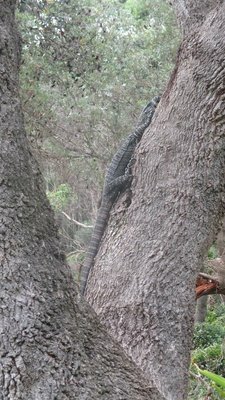 In addition to the kangaroos there is also an ample population of comodo dragons and possums. Possums freaked us out more than once. On one occasion we woke up in the middle of the night because it sounded like someone was having a party next to our tent. Then we saw a possum munching away our carrots while holding them with his human-like hands. He did look very human. 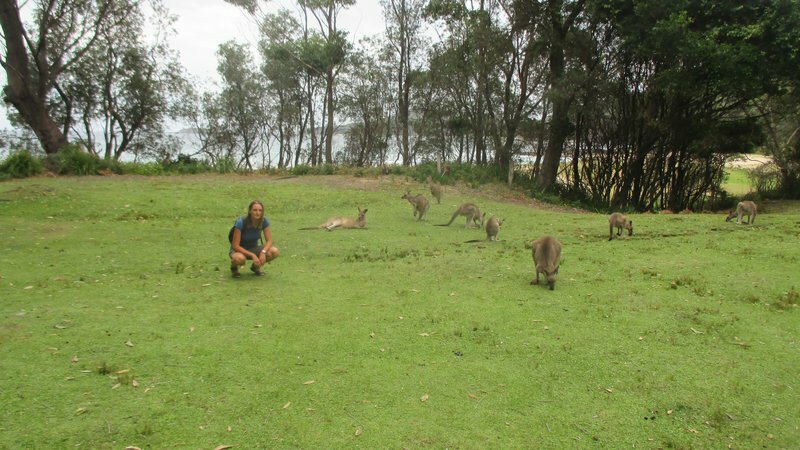 It's an amazing place where kangaroos feel like sheep in Wales. They are very friendly and will surely come and sneak around your tent. Although they are still wild animals and I wouldn't risk petting them, same stands for comodo dragons. The beach itself is OK but nothing to write home about. Just like most of the places in South Australia a lot depends on the wind, waves and currents can get very violent. 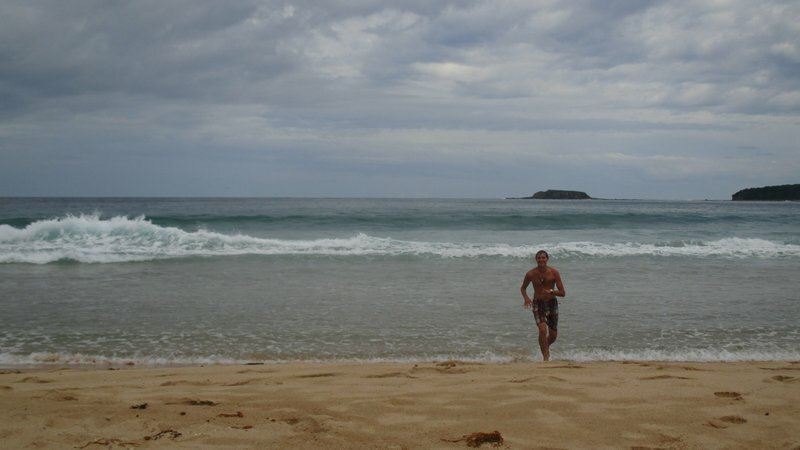 That's me running for my life. To break up our day we decided to go for a 2 hour hike towards Clear point and than to a mini-cape a couple of miles further on. There is a map of local hikes at Pebbly so you could plan a few short ones for the time of day when it's ether too hot or too windy to laze on the beach.